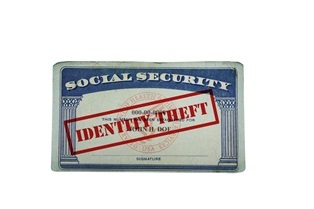 Raise Your Identity Fraud Awareness | The Consumer Law Group, P.C. Most savvy consumers are aware that identity theft is a real problem and something you should take steps to protect yourself against. You know not to share your Social Security number, to report lost or stolen credit cards, and to check your credit reports every year. But how familiar are you with the ways your identity could be stolen? Here we take a look at identity fraud in four major industries in the hopes that consumers will take more precautions when sharing sensitive information. Financial services. Identity fraud in the financial services industry may involve credit cards, loans, checking accounts, debit cards, mortgages and other financial services products. Identity fraud can occur either by using stolen personal data to open a new account or by taking over an existing account and making unauthorized transactions. This type of fraud cost consumers $15 billion in 2015. Retail. What used to involve the theft and unauthorized use of a physical credit card has become a much more sophisticated form of fraud. Criminals now hack into retailers’ databases to steal information, including credit card numbers. In 2016, in-store fraud accounted for only 12 percent of retail fraud. Major retailers are increasing security measures to protect their customers, but consumers must be prepared for more complicated online transactions. Insurance fraud. As more consumers look to get insurance quotes and to even purchase insurance online rather than in person with an agent, the industry is becoming more vulnerable to identity fraud. The insurance industry must keep up with this demand by implementing identity verification tools and consumers must be cautious about providing sensitive information online. Healthcare. With the increase in online portals to submit and monitor sensitive medical information, more patient information is available to be stolen than ever before. Not only could this result in insurance fraud, but it could compromise a person’s medical diagnosis or treatment. Healthcare providers must ensure that safeguards are in place to protect their patients. While much of the responsibility for protecting your identity falls with the retailers, insurers, financial companies, and healthcare providers who store your information, being aware of the potential for identity fraud can help you protect yourself as a consumer.